I don’t recall where I found the Linc Glycer (and I have absolutely no idea what the name Glycer means), but it’s a pen that’s remarkably similar to the Pentel R.S.V.P., only a bit smaller (or, rather, more average-sized). The Glycer is a fine-tipped ballpoint and writes cleanly with little smudging, smearing, or ink-blobbing to speak of. It has a small rubbery grip area that does little, yet is still fairly comfortable to write with. Besides a somewhat rinkydink clip, it’s a decent ballpoint pen. 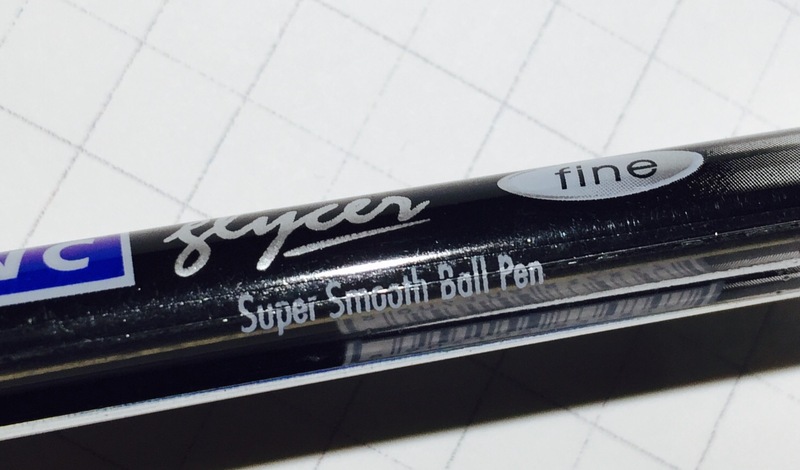 My only big complaint is that the Glycer purports to be a “super smooth ball pen,” but that just isn’t true. 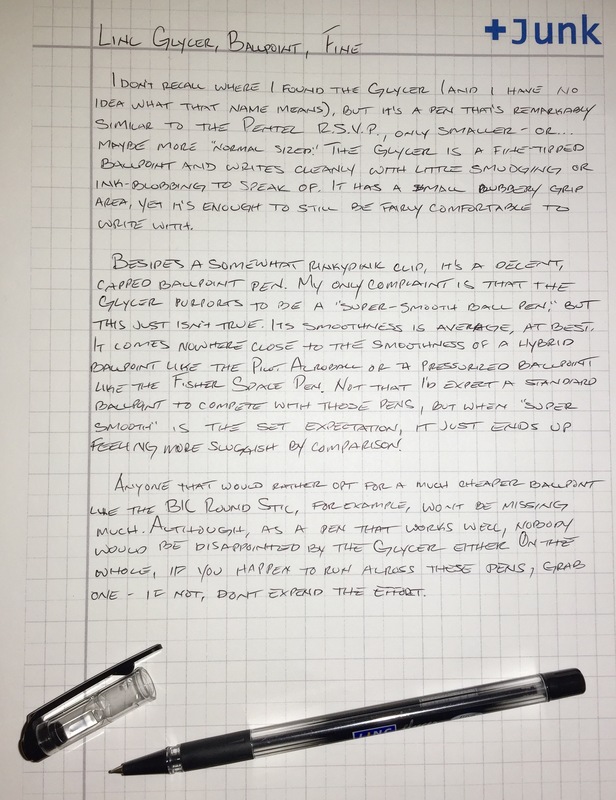 Its smoothness is average, at best, and it comes nowhere close to the smoothness of a hybrid ballpoint like the Pilot Acroball or a pressurized ballpoint like the Fisher Space Pen. Not that I’d expect a standard ballpoint to be able to compete with those pens, but when “super smooth” is the set expectation, it just ends up feeling more sluggish by comparison. Anyone that would rather opt for a much cheaper ballpoint (like the BIC Round Stic, for example) instead of the Glycer won’t be missing much. Though, as a fine-tipped ballpoint that works well, nobody would be too disappointed by the Glycer either. In other words, it’s a relatively good pen, but it wouldn’t be worth expending any effort to obtain one.